Vintage wedding invitations in ivory-brown colour, coming with long envelopes and ivory pearlised board, postcard in style. 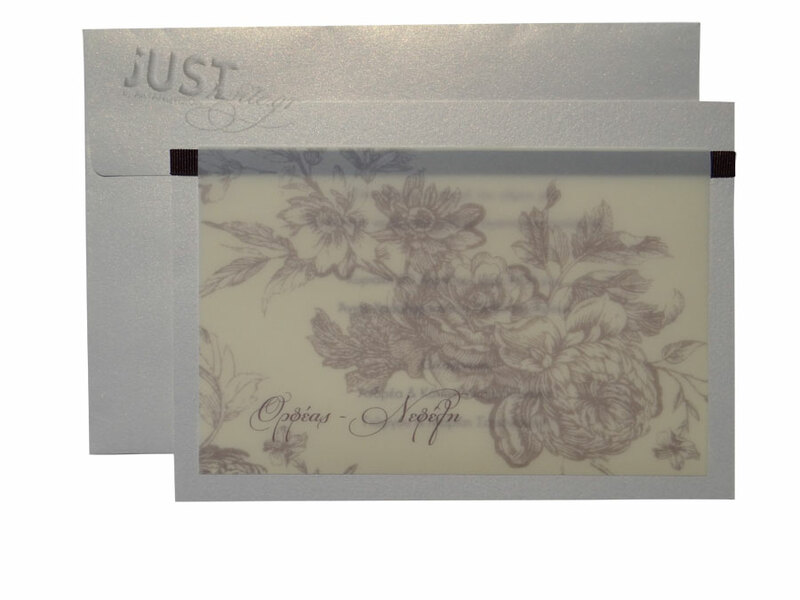 A crisp, ivory paper with a retro flower pattern reveals your bespoke invitation and the design of the card is finished with a brown grosgrain ribbon. In this range, your personalised wording is printed in a plain brown colour on the card and the names of the couple on the rice paper. Size: 15 x 21 cm. https://www.preciousandpretty.com/2017/10/vintage-wedding-invitations-a902.html Greek Wedding Favors|Orthodox Crowns|Stefana|Baptism Invitations Vintage wedding invitations A902 Wedding invitations, in vintage style with the names of the couple on, finished with grosgrain ribbon. Product #: Greek Wedding Favors|Orthodox Crowns|Stefana|Baptism Invitations_3524467079869767150 5 stars out of 5 reviews.